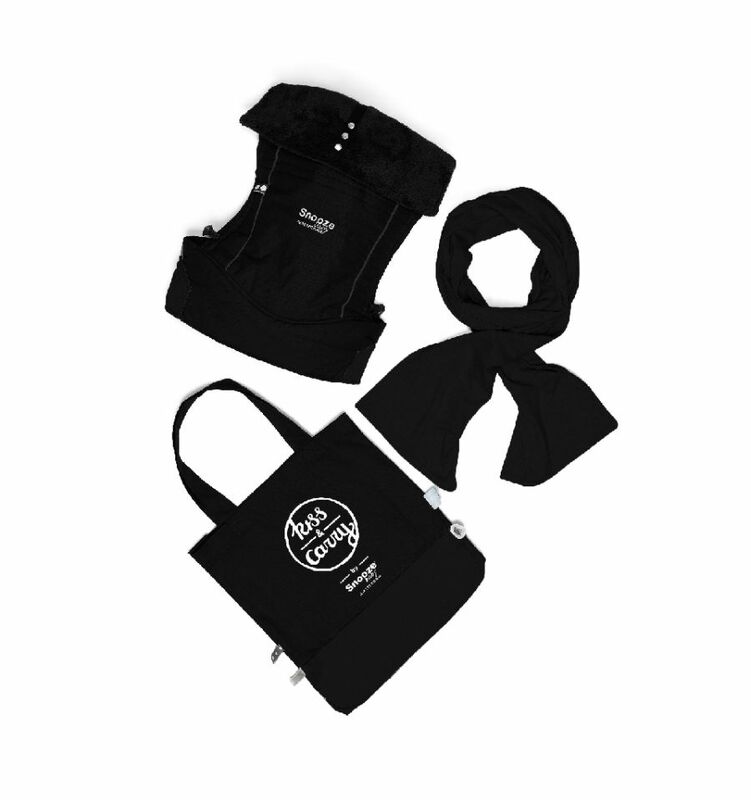 The Kiss & Carry All Black Edition is made of 100% recycled material, including the insert (excluding buckles and straps). Able to use from day 1 until about 11 kg (2,5-11 kg / size 50-80). The waistband is adjustable from 72 cm to 135 cm (size 36-48), so you can enjoy the company of your little one for a long time. 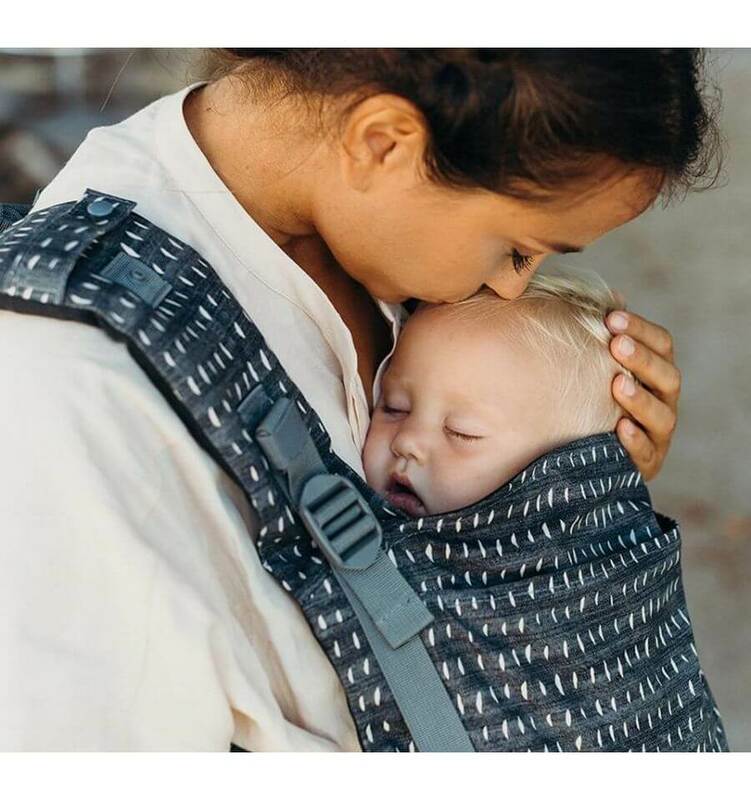 On the lower part of the straps there’s a band with which you can adjust the width to the size of your baby and attain the M position in each stage. 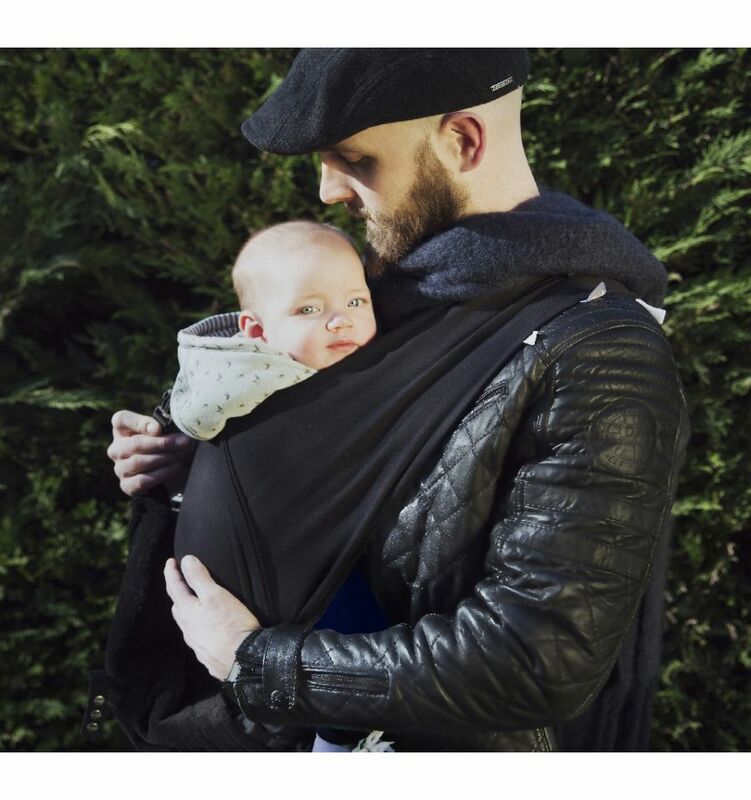 The Kiss&Carry is ergonomic for both parent and baby. The little one’s M position is assured. (the knees are positioned higher than the buttocks). With this carrier the weight is evenly distributed over the shoulders. 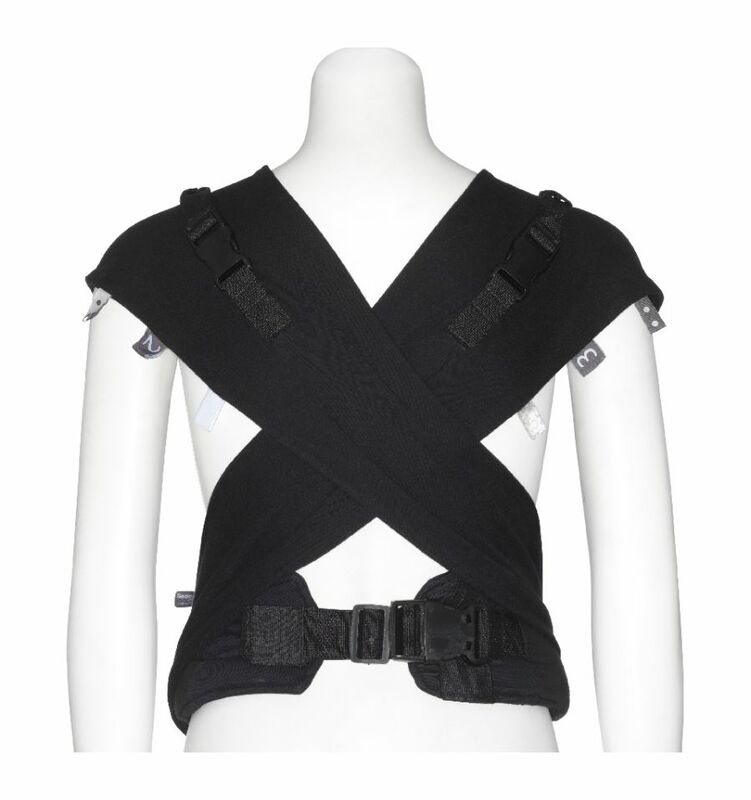 Ultrasoft support for the neck and head of the baby. 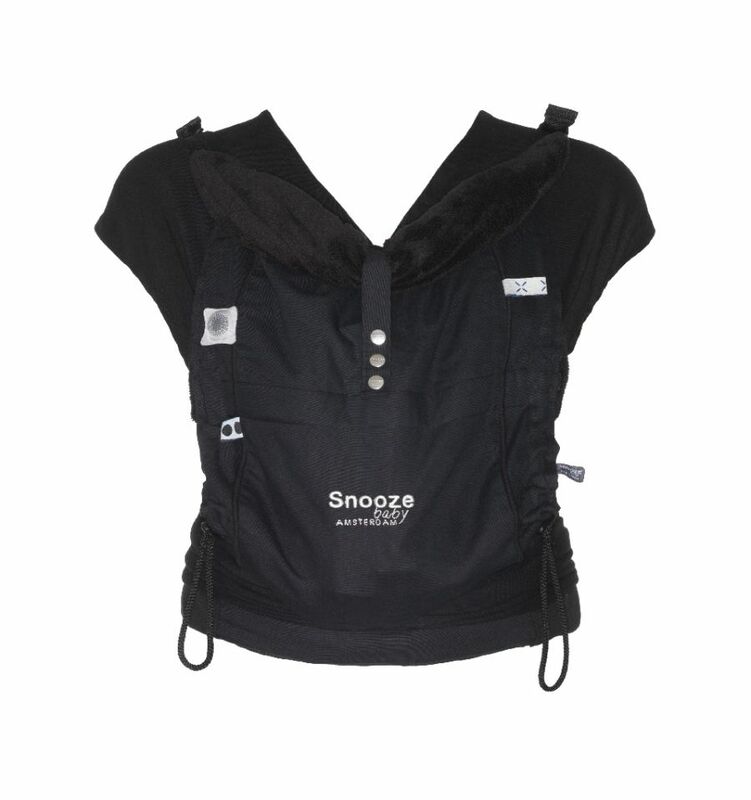 The neck/headsupport is detachable and can be washed separately at 60 degrees. 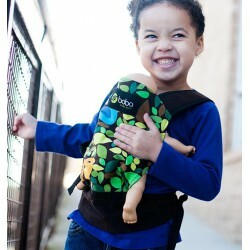 No hard harness, but a soft yet firm material to pack your baby in safely. At the same time the right curve in the back is realised. Due to this super fine material soft touches and caresses can still be felt. 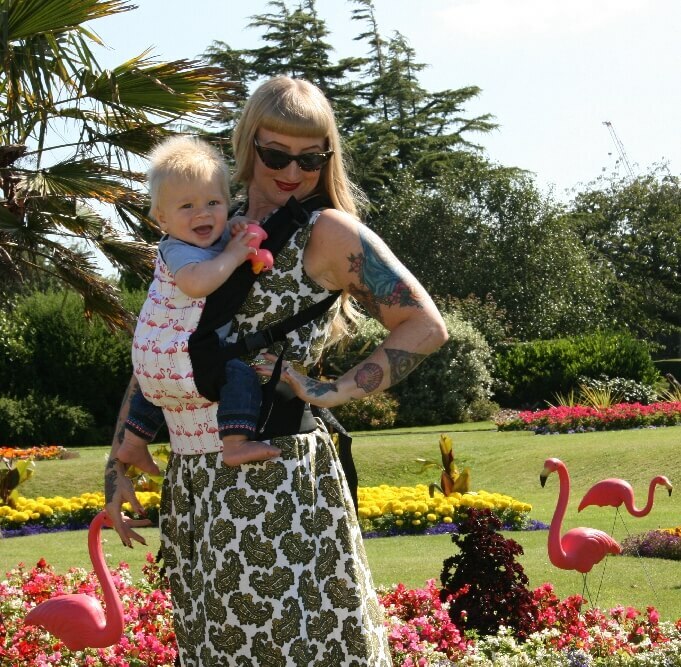 As soon as you baby can sit independently, you can use the Kiss&Carry as a back carrier as well. Do this with someone to make sure the straps are secured properly. 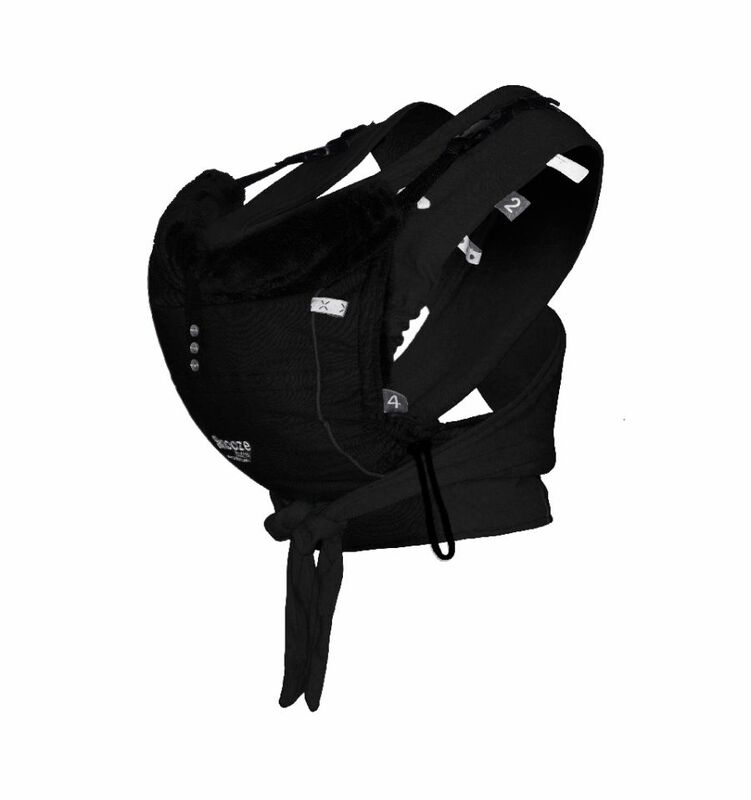 The carrier is secured in the same way, only this time you do not cross the inner straps over the belly, in this case you secure it under the arms to the back. The Kiss&Carry does not only have a sophisticated design, but it is also thought through. In just 4 steps you can put on the Kiss&Carry (handy number placement) and taking it off is also very simply done. Your hands are always free which means you are able to interact with your baby. In the waistband you will find lovely foot pockets. And how can we forget our famous labels. They are fun to fiddle and play with or to fasten a favourite toy or pacifier to.